$3,099.99 This may be in stock for quick delivery; please call! The EVH Wolfgang USA guitar is built to Eddie Van Halen’s exact specs and has every single feature of the Wolfgang guitars he himself plays onstage and in the studio. The EVH Wolfgang USA guitar is built to Eddie Van Halen’s exact specs and has every single feature of the Wolfgang guitars he himself plays onstage and in the studio. Now, the Wolfgang USA is available in a striking new Ivory finish for 2016. 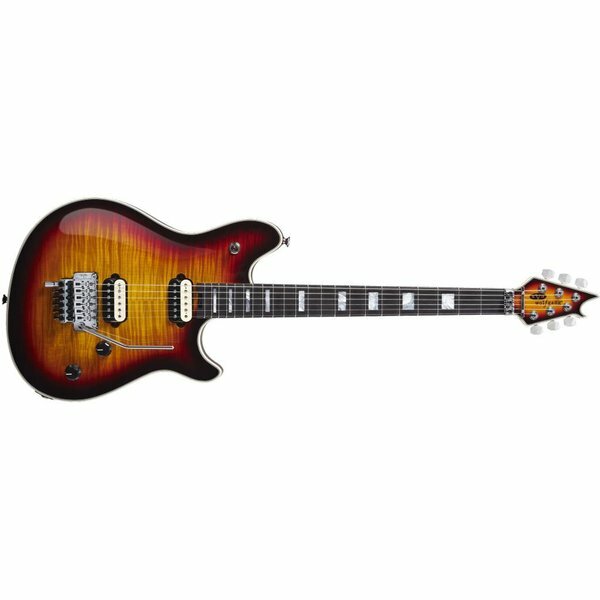 The EVH Wolfgang USA features a basswood body with maple top, quartersawn maple neck, 12” – 16”-inch compound radius ebony fingerboard, 22 vintage stainless steel frets, direct mounted EVH Wolfgang Zebra Humbucking pickups, EVH-branded Floyd Rose Locking Tremolo with EVH D-Tuna®, EVH Branded Gotho® High Ratio die-cast tuners with white pearloid buttons, and mother-of-pearl block inlays.